Earn £34 worth of loyalty points when you buy this item. 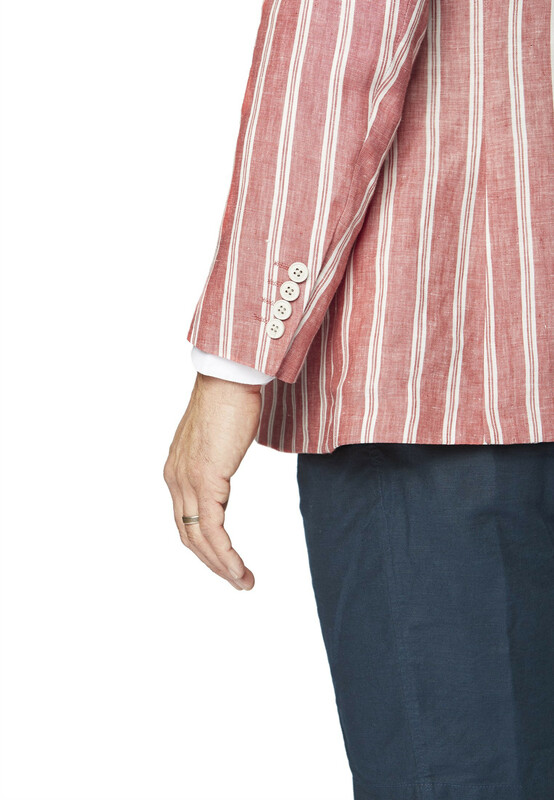 You’ve earned your stripes, and in this luxurious coral and white linen jacket you can wear them with pride. Jacket: Classic fit. Two button, single breasted. 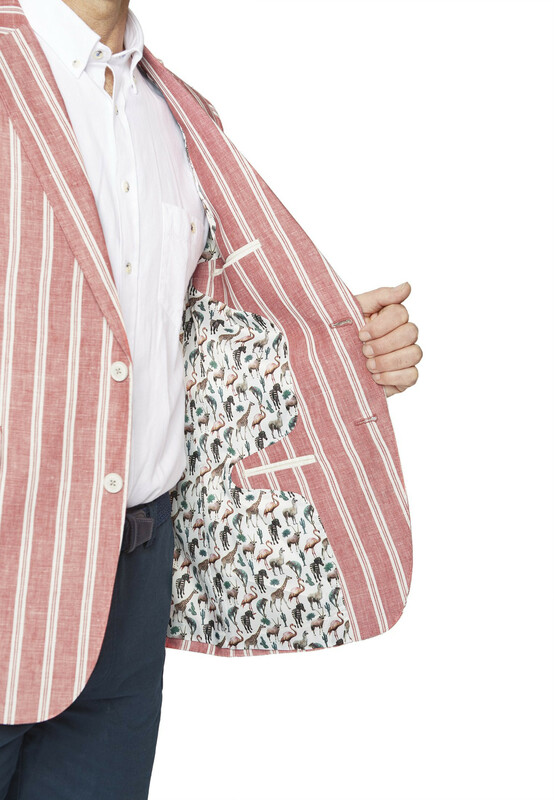 Angled exterior pockets. Side vents. Two interior pockets. Hand stitch detail. Four button cuff. Dry clean only. Lovely product. First one was a bit large based on my measurements but should have trusted my own instincts and gone with the size I’ve always been for the last 30 years and would have been fine! 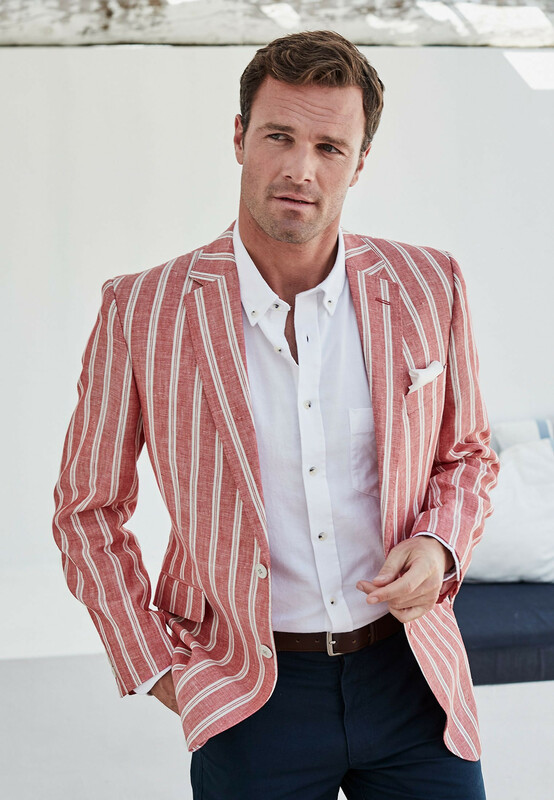 Perfectly structured, trimmer fitting jackets with low-button stances create a long, slimming torso. 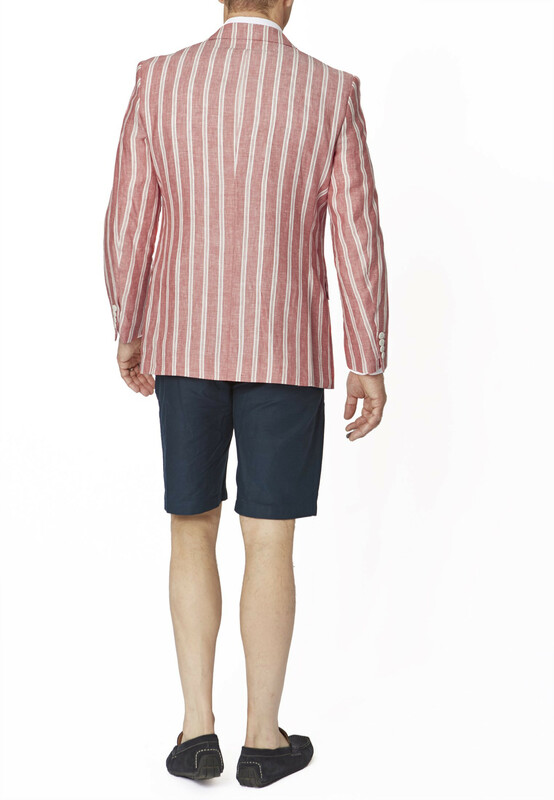 Perfection for any season or occasion.